If not already active, select the "Project Assistant" Tab. 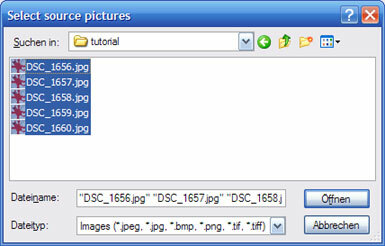 A file dialog will appear. 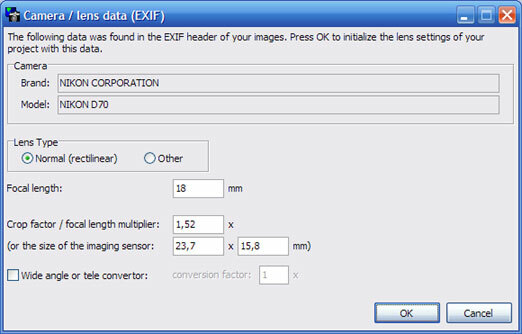 Select all your source images and click "Open"
As long as you don't use special lenses like a fisheye lens you can safely take over the values by clicking "OK". In my example, the images are taken in portrait mode, so we have to rotate them accordingly. You will find the "rotate"-buttons on the right side next to the loaded images. Also, you will notice that the "Generate control points" has become active. Click it to have the control points create for you. 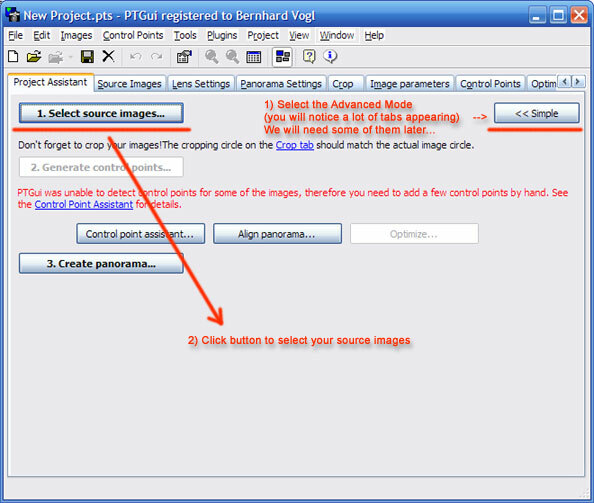 Control point creation is a science of its own: How many to use per image pair, how to distribute best over the source images etc. We will heavily rely on the automatic control point creation. 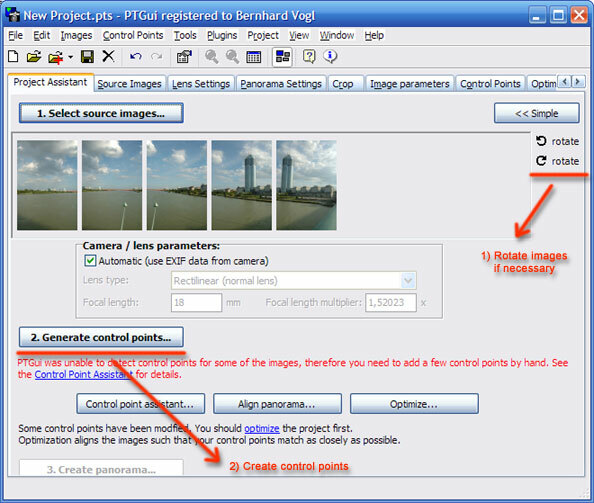 In most of the cases it will generate 10 well distributed control points per image pair. 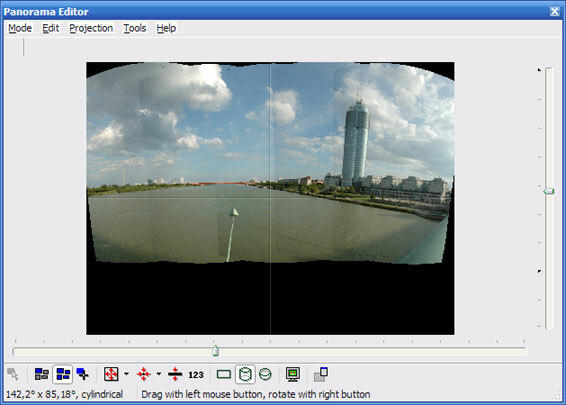 You should now take a look at the "Panorama Editor" window. PTGui has now automatically generated the control points, optimized them and aligned your panorama accordingly. At a first glance, this already looks good exept for verticals and horizontals which are not displayed correctly. This is why we have to do some advanced editing.